The University of Arkansas at Little Rock (UA Little Rock) invites applications and nominations for the position of Dean of the College of Social Sciences and Communication (R97228). The College of Social Sciences and Communication seeks a dean who will help the college’s units build on their achievements and take the next steps forward. The new dean will have the opportunity to develop and implement a vision for the future of the college to achieve its mission to apply theory and research to drive social change and inspire human expression, reflection, and interconnection. Reporting to the provost, the dean will work cooperatively with the faculty, department chairs, other deans, the provost, and the chancellor to develop and implement the college’s and university’s strategic plans and other institutional goals. This position is governed by state and federal laws, and agency/institution policy. The successful dean candidate will be expected to provide leadership in all aspects of the college’s operation, including: plan and manage budgets; lead initiatives to recruit students as well as increase enrollment and retention; build on relationships with stakeholders in the community; take advantage of the college’s location in the capital city; raise the state, regional and national profile of the college and its programs; represent the college before the university community, alumni, and other outside entities; lead major fund-raising efforts, focusing on developing significant sources of private funds to support current and ongoing programs and build existing endowments; develop and promote online programs; value and manage interdisciplinary and multidisciplinary endeavors; enhance the sense of community among faculty, students, administrators, and staff; support the university’s commitment to diversity; and advance the university’s commitment to excellence in teaching, both in person and online. The College of Social Sciences and Communications includes 7 academic units offering degrees at the baccalaureate, masters, and doctoral levels, including the School of Mass Communication and the School of Public Affairs as well as the departments of Applied Communication, Rhetoric and Writing, Criminal Justice, Psychology, and Sociology and Anthropology. The college also supports two broadcast facilities and several interdisciplinary research centers and institutes, including University Television, KLRE/KUAR public radio (an NPR station), the Survey Research Center, the Center for Nonprofit Organizations, and the Center for Public Collaboration. UA Little Rock provides a unique environment that combines a fast-paced business and technology hub with cultural offerings and deep ties to the community. Little Rock is the capital city and largest metropolitan area in Arkansas, boasting affordable housing, many cultural attractions, and close proximity to extensive natural and recreational areas. The university is located in midtown, which is approximately five miles from recently revitalized downtown Little Rock, close to the state capitol, the Clinton Presidential Library, and the University of Arkansas for Medical Sciences. 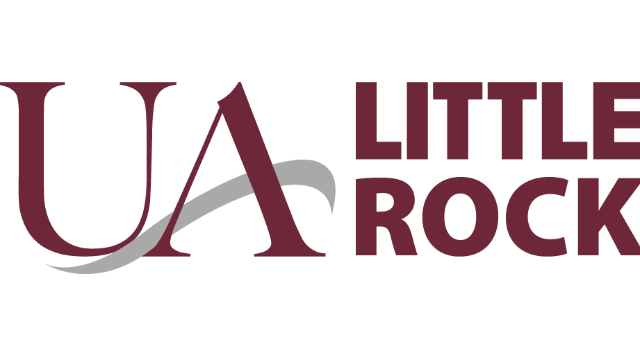 UA Little Rock, classified as a “research 2” institution by the Carnegie Foundation, is Arkansas’s premier metropolitan university and enrolls approximately 9,500 full- and part-time students. In addition, the university offers baccalaureate, masters and doctoral degrees across more than thirty departments in five degree granting colleges and a law school. Required Qualifications: Candidates must have a doctorate degree from an accredited institution in one of the college’s program areas, be eligible for appointment at the professor level with tenure, and possess a distinguished record of professional achievement. Candidates must also have a demonstrated capacity for effective administration. Preferred Qualifications: Candidates should have: successful fundraising experience; intellectual leadership; and, a record of collaboration in academic and community settings. Candidates should manifest strong and effective communication skills. The ideal candidates will have experience in successfully growing a department, school or college, including recruiting, mentoring, and advocating for faculty, researchers, and staff. All applicants must submit applications through the UA Little Rock’s online application system. Additional information about this position and application requirements are available at the Jobs link on the Human Resources’ website at https://ualr.edu/humanresources. Candidates should provide a letter of application describing their interest and qualifications for the position, current vita, and five references. Official transcripts will be required for hire. The search committee will accept applications and nominations until the on-campus interview stage. For best consideration, applicants should complete applications by May 1, 2019. If you have any questions about the position or wish to nominate an individual, please email Theresa Beiner, Dean and Nadine Baum Distinguished Professor of Law at the UA Little Rock William H. Bowen School of Law at tmbeiner@ualr.edu. Incomplete applications will not be considered. This position is subject to a pre-employment criminal and financial history background check. A criminal conviction or arrest pending adjudication and/or adverse financial history information alone shall not disqualify an application in the absence of a relationship to the requirements of the position. Background check information will be used in a confidential, non-discriminatory manner consistent with state and federal law. The University of Arkansas at Little Rock is an equal opportunity, affirmative action employer and actively seeks the candidacy of minorities, women, veterans, and person with disabilities. Under Arkansas law, all applications are subject to disclosure. Persons hired must have proof of legal authority to work in the United States.